See picture. Both the customized armour and chainmail helmet are rendering. 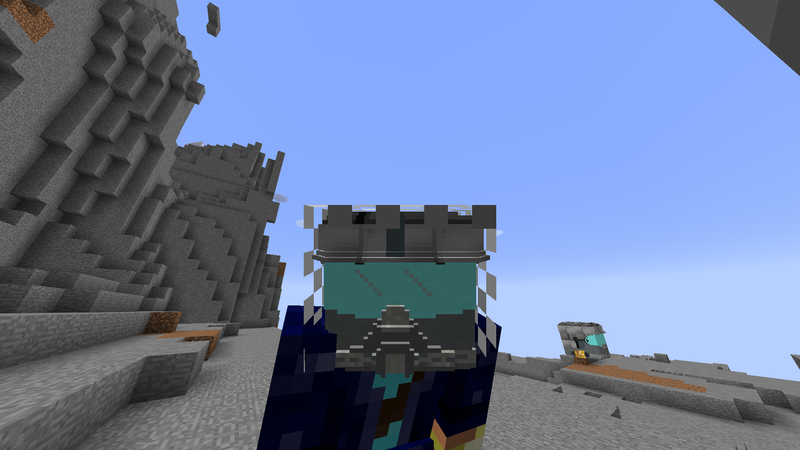 It should be rather obvious that I do not want the normal helmet to render. As of v3.3.0, there are 4 sets of vanity armor. The first set renders in place of the player's main armor set, while the remaining 3 sets render in addition to it. This seems to be happening again in 3.4.1, Chisel and Bits 14.30 and forge 2815. I rollbacked to the recommended forge version as well and it still happened.